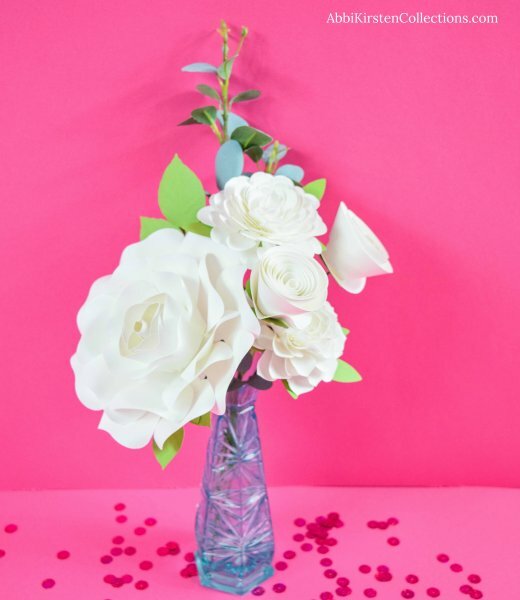 Learning how to Make Your Own Paper Flowers can seem impossible if you don’t have a clue what you need to get started, but don’t fret, my dear because after 8 years of paper crafting I am here to help. If you want to own this paper flower thing like a Queen then consider these tools to help you succeed! I have tested nearly every recommendation on this page. Many of the resources listed here are crucial to creating my flowers. I will share the supply lists based on 3 levels – necessary, recommended and seller’s level. Each level will build upon the previous one. You will notice I shop a lot on Amazon! I won’t try and hide it – I’m a Prime girl! That being said there are lots of great products out there that can work just as well as the one I am fond of below. Some of these recommendations contain affiliate links. If you purchase through my link I will earn a small commission at no cost to you. I only promoted products that I have tried and loved, so you will too! Thank you for your support of small business! 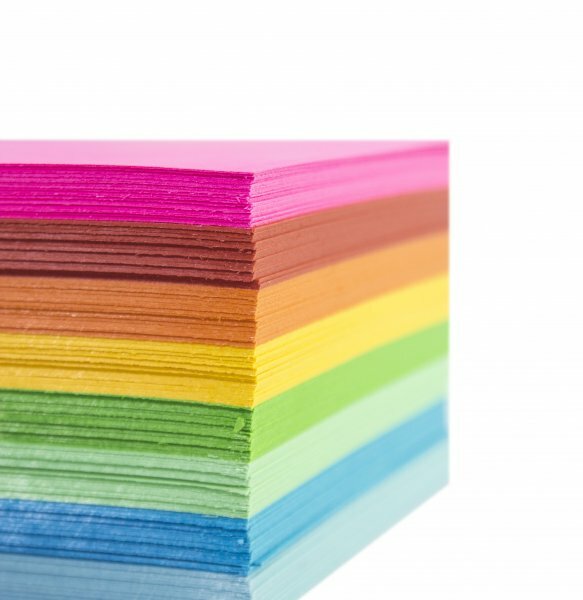 Again, these are my personal favorite tried and true resources and paper flower making supplies. 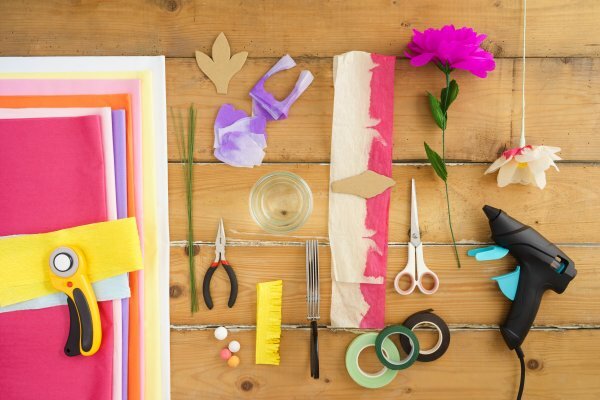 Ready to learn everything you need to make your own paper flowers? Okay let’s go! Level 1 – Basic Must Have Supplies – The bare minimum you will need to get started. Paper! Ahh! Now there wouldn’t be paper flowers without the paper! In general, I always use 65 pound weighted (176gram) cardstock, but I never go above 80 pound cardstock and never below 50 pound. Most craft stores are going to offer cardstock like this. I tend to shop at Michael’s craft store. So local shopping is probably the easiest suggestion. If you feel your store doesn’t offer a good selection then you can check out my links above that I have used! The glue that holds it all together – yes another pun! You will want to use hot glue when making paper flowers. Why? It dries quickly so you are not waiting for each petal to dry before moving onto the next one, plus it is probably the least messy option – not to say there may not be some mess. I have a favorite glue gun brand I recommend above that has worked well for me for years. 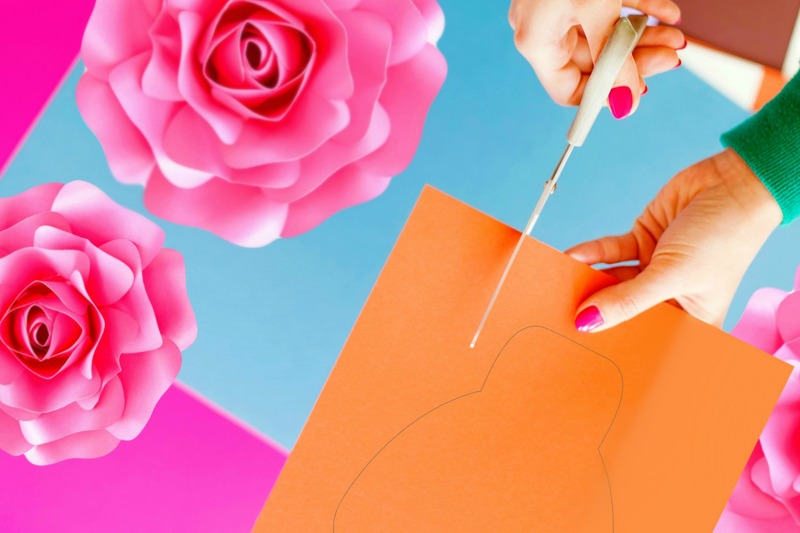 If hand cut your flowers most people find it easiest to print the templates once, and then use that set to trace with pencil onto their cardstock of choice and cut out from there. To successful do this pencil for tracing is best, and large erasers can be helpful to go back over any lines left behind so your flower is clean. An outline PDF option is also included if you wish to run cardstock through your printer and cut out following a printed line, however this process takes extra time, could cause a printer to jam because it’s card stock, takes ink and could leave a black line behind if you miss cut so I do recommend printing just once and tracing with a pencil for best results. Wood dowels are great for paper flower creations because you need something that can easily curl petals whether large or small paper flowers. Since wood dowels come in all different thickness it is ideal to have a thicker one (3/4 inch thick) for the giant flowers and a thinner one (1/4 inch thick) for small flowers. Heavy duty mounting tape is the best and simplest way to hang your flowers on a wall. There are other options for hanging flowers as well such as a wire hook (more info below in level 2). Flower template – Find them here! Of course I recommend paper flowers because they are awesome sauce and I love them! But obviously if you are creating paper flowers you will probably need a template! 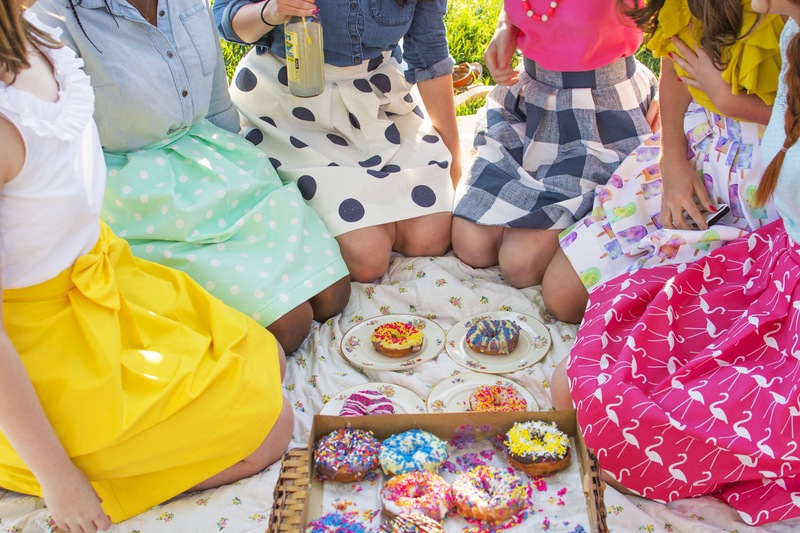 Psssh… you can try one for free here! All supplies from level 1 plus…. Okay so, the truth? Cutting machines are AMAZING! I have been using the Cricut brand series of cutting machines ever since they came out. There are other brands out there that have their good perks but if I am truly honest, I feel Cricut is the best. One reason for this is that you can use SVG cut files with Cricut Design Space where as their main competitor, Silhouette, charges for you to use the cut files. It’s only a $29 upgrade but I just like that Cricut includes that already. If you are a Silhouette user (good for you!) that loves their machine, I do recommend upgrading to the Designer Edition software so you can use the SVG cut files for better quality and ease of use. Oh and by the way, have you heard of the new Cricut Maker?! I need one despite owning 2 machines already! I’ll just leave this right here. 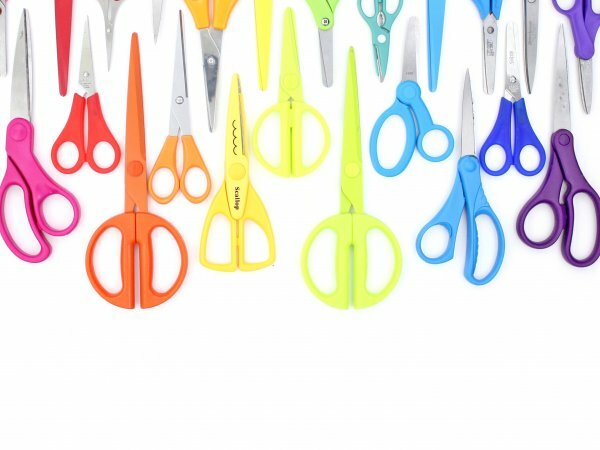 Fringe scissors are pretty darn cool and fun to use. They are basically like 4 pairs of scissors in one. I use fringe scissors all the time when I create the pompom centers of my giant flowers. So if you want to save a few hand cramps I recommend picking up a pair. Some craft stores have these, but if yours does not just grab the pair I use online above. Circle punches come in handy. If you are need to close the open back of a large flower or want to add a finished center, they can be useful. You will see me use them a lot with giant flower designs. I like the use of ink from time to time because it gives you the ability to distress the edges of paper flower petals and create a realistic touch. You will see me use the ink a lot with small flower designs. A thick yet flexible wire has two main purposes. The first is for stemming small flowers and the second is for creating small wire loops for which to hang large backdrop flowers. My specially designed Paper Blooms shaping mat is a soft ideal surface for molding, cupping and shaping paper petals. The set of 4 double-sided tools works well with the mat to create the perfectly cupped petal. I definitely recommend these especially when working with small flowers. It really makes the job easier! Well, first to be totally honest I recommend this book because I wrote it and would love to share it with you! But I also recommend it because it has an incredible value to it. 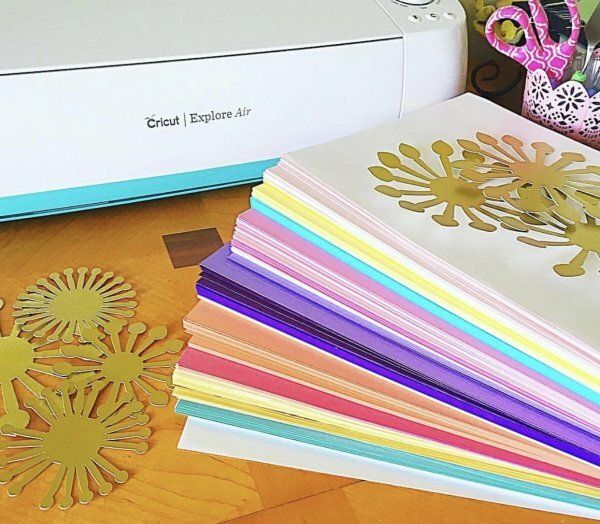 If you are in search for a quick start guide book, start with The Art of Giant Paper Flowers and its 16 fabulous templates included, is a great option! You will find the hoarding tons of paper as a paper flower artist becomes a regular expectation. So to help with the overwhelming amount of paper, it’s good to invest in a paper storage organizer. I’ve used many different types before, even magazine organizers work great. I couldn’t live without my craft caddy! It helps all my glue sticks, pencils, scissors, and Cricut accessories stay organized. You don’t want to live without this one, in reality this is probably a good one to have in level 2. Even if you don’t have a large space, you need a place to work. 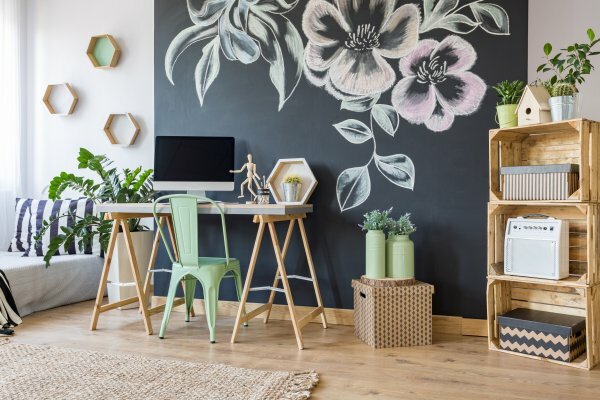 Having a desk or small dedicated work area will help you stay organized. I’ve had to work in many work stations; from tiny hole in the wall apartment corners, to small bedrooms. Thankfully, as business has grown so has my work available space. Even if you don’t feel like getting a fancy desk, at least opt for your own folding table that is just for crafting. First, I have to say that if you are selling any of my designs for profit this isn’t exactly a recommendation but a requirement. The reason I require a license for my templates when selling for a profit, is because all my work in copyrighted under U.S. law. Since these designs are my intellectual property, I like to be aware of who is using my designs for profit. Because investing a small fee for the license is required, it also helps bring only those who are serious about selling the flowers. This helps to ensure my designs do not end up on every ecommerce corner. And believe it or not, several people have already stolen my work to sell it without a license. Not only have they sold my designs but have also resold the templates as their own work – sad but true. You can read our seller’s terms here or via the product listing above. I recommend the giant flower library if you are interested in a lot of flowers for the best price possible. When buying the digital library it will literally save you 40% in template expenses than if you were to buy each design individual! When you are starting a small business you need to have your own website and place you can write about and showcase your creations. Starting a website and grabbing your business name’s domain is the first big step. I love using WordPress and highly recommend them! It is crucial that you have at least 3 operational social media channels for your small business. Facebook and Pinterest should be in those 3 bare minimums. This shows professionalism and gives you an outlet to share your work. The Milo tree pop up plugin is a personal favorite of mine for growing my audience on my blog. It can really help with social media reach! Whew that was as long list! Sometimes I wonder how all this typing and flower making doesn’t make my fingers fall off! 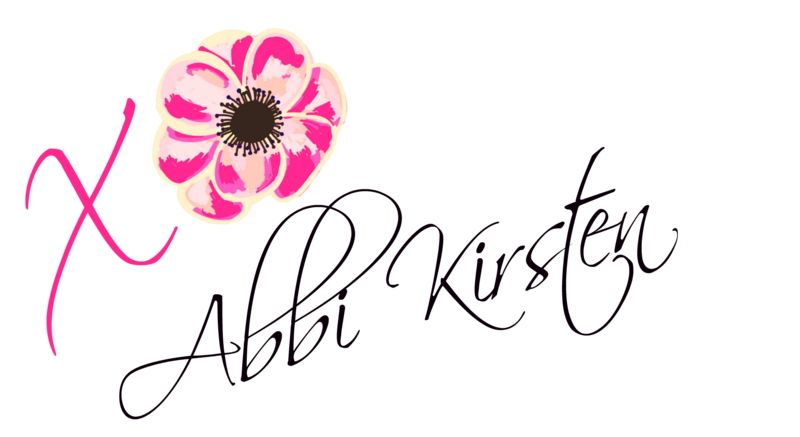 My mission at Abbi Kirsten Collections & Catching Colorflies Designs is to nurture the creative magic inside your soul by bringing you fun, easy to learn DIY projects and quality template designs. Again, there are a lot of ways to go about making paper flowers and none of them are exactly right or wrong so feel free to explore. What other ideas has this given you? What else do you think I should add? 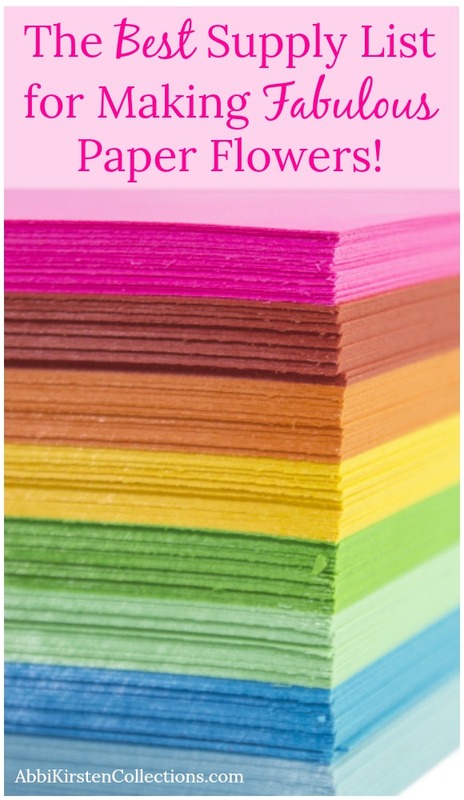 I hope this has sparked your creativity and given you the resources you need learn how to make your own paper flowers!